an estimated $100bn of investment. and four times the cost of onshore wind power. competitiveness will take over – and the world will never be the same. energy could waver and investors will run for cover." Terremark Worldwide, Inc. , a leading global provider of managed IT infrastructure services, today announced IDG's Computerworld, the leading source of technology news and information for IT influencers worldwide, has selected it as one of the Top Green-IT Organizations for 2010. This honor is part of the IT media outlet's annual Top Green-IT Organizations feature, which was published in the October 25 issue of Computerworld and online at Computerworld.com. For the third year in a row, Computerworld set out to identify organizations that are implementing smart, efficient strategies to achieve "green IT." Organizations were invited to complete a comprehensive questionnaire online from May to July. Computerworld then applied a set of criteria, developed with the help of green-IT industry experts, to identify the organizations that are working to reduce energy consumption in IT equipment and are using technology to conserve energy and lower carbon emissions. "At Terremark, we continue to pursue ways to maximize energy efficiency across our global footprint of data centers so that we are able to limit our environmental impact while also reducing our own operational costs," said Manuel D. Medina, Chairman and CEO of Terremark. "We are very proud to be recognized for the second straight year for our energy-efficiency efforts, which extend from the world-class datacenters we operate to the innovative products and services we provide to our government and enterprise customers." Terremark utilizes various energy-efficient methods across its global data center footprint to reduce its power consumption, including hot-aisle/cold-aisle air segregation, computational fluid dynamics modeling (CFD) and employing rotary uninterruptible power supply systems (UPS). 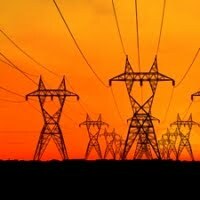 Along with implementing innovative power conservation strategies in its world-class data centers, Terremark's suite of industry-leading cloud computing offerings and virtualized products provides customers with reliable, enterprise-ready solutions for their IT infrastructure needs while minimizing their environmental impact. Nordex has obtained the order for the turnkey installation of a wind farm in Turkey. Nordex is building the “Akres” project with 18 N90/2500 machines for Karesi Enerji, a subsidiary of the Turkish transformer manufacturer Best. In addition to this, the wind farm operator Dost Enerji has ordered six N90/2500 turbines for the extension of “Yuntdag”. The “Akres” site is located near the city of Akhisar in the west of Turkey. Thanks to very good wind conditions, the capacity factor stands at around 42 percent. The turbines are able to produce 170 gigawatt hours of clean energy a year and supply some 90,000 Turkish households. The 45 MW wind farm is to be handed over to Karesi Enerji in summer 2011. 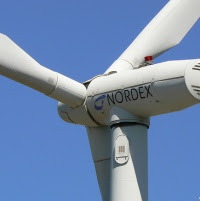 “Turnkey projects number among Nordex’s core competences worldwide. Now we can show what our project management is capable of in Turkey, too”, says Ayhan Gök, Nordex CEO in Turkey. In the past few years, the electric utility industry has experienced a momentous season. The business of electricity generation, transmission, distribution, and consumption has been thrust to the forefront of public discourse – as both a villain and a savior – in the fight against climate change and the struggle for energy independence and security, among other global priorities. The “smart grid,” the integration of new embedded computing and communications technologies into the fabric of the power network, is widely seen as the means to adapting the electrical infrastructure to meet these global needs. A new white paper from Pike Research identifies 10 key trends that are driving the sweeping changes currently underway in technology, business, policy, and even consumer behavior. The paper, which includes 10 predictions about the smart grid market in 2011 and beyond, is available for free download on Pike Research’s website. Gohn adds that the months ahead should witness the maturation of the smart grid as all the trials, mandates, and pilots move toward production deployment. Pike Research has identified dozens of trends that bear watching and scrutiny. Pike Research’s paper, “Smart Grid: Ten Trends to Watch in 2011 and Beyond”, offers timely perspective and insight on the key factors that are likely to determine the success or failure of various smart grid initiatives. Conclusions and predictions in this paper are drawn from a broad array of Pike Research reports, with market forecasts included for key market sectors. A full copy of the white paper is available for free download on the firm’s website. 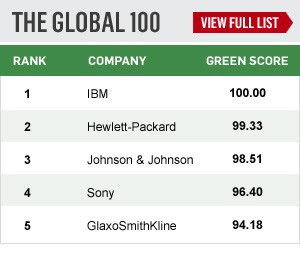 NEWSWEEK just published its exclusive ranking of the world's most environmentally friendly companies. 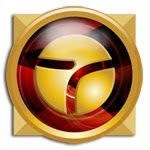 Click below for full rankings (Global Top 100, US Top 500). The U.S. Department of Energy last night recognized six leading organizations for their leadership in advancing green power production and distribution during the 10th annual Green Power Leadership Awards in Portland, Ore. Across the nation, responsible companies and consumers voluntarily purchase renewable energy through local suppliers to help reduce America's dependence on foreign energy sources and expand an industry that is creating thousands of new jobs each year. DOE encourages the growth of these programs nationwide by selecting exemplary programs to receive Green Power Leadership Awards. This year's winners include 3Degrees, Bonneville Environmental Foundation, SolarCity and SunRun – recognized by DOE as the Non-Utility Green Power Suppliers of the Year – and La Plata Electric Association and Portland General Electric – recognized as the Utility Green Power Programs of the Year. Green Power programs are designed to provide consumers with the opportunity to purchase clean energy options from environmentally preferred sources. Winning organizations are evaluated on criteria such as: resources and technologies used, total annual renewable energy sales, number of customers served, market impact, amount of green power supplied, and overall value provided to customer participants. Through the combination of utility green pricing and competitive markets, green power is available in almost every state. - About 860 utilities offer green power programs in the U.S.
- Nearly 1.4 million customers purchased green power in 2009 through a green power program, competitive marketer program or a renewable energy certificates marketer. The Utility Green Power Programs of the Year recognizes utilities that are leaders in developing and implementing voluntary green power programs to serve their customers. This category is open to all utilities (municipal, rural electric cooperative, or investor-owned utility) offering voluntary renewable energy programs to their customers. The Non-Utility Green Power Suppliers of the Year recognizes leading non-utility providers (e.g., marketer or other entity) that supply renewable energy to residential or nonresidential consumers who make voluntary purchases of renewable energy. 3Degrees (San Francisco, CA) – This company has partnered with more than 900 organizations to reduce climate change and accelerate a low-carbon, renewable energy economy through Green-e® Energy Certified Renewable Energy Certificates and Verified Emission Reduction projects worldwide. 3Degrees also partners with utilities to offer residential and business customers a voluntary green power option, which 5.1 million have chosen. Its green power programs achieve an average participation rate of 6 percent, nearly three times the national average. Bonneville Environmental Foundation (Portland, OR) – This foundation is a non-profit supplier of green power that re-invests the profits from their green power products in renewable energy development. Since 2000, the foundation and its partners have supported more than 3 million MWh of renewable energy generation nationwide. In 2009, the foundation installed 55 solar projects at U.S. schools and community buildings, and worked with Portland Public Schools to create the first "Net Zero Classroom" design integrated with solar photovoltaic systems. SolarCity (Foster City, CA) – This is one of the nation's largest solar and energy efficiency service providers that has completed more than 9,000 projects since 2006. SolarCity is the nation's only company to offer solar design, financing, installation and monitoring to businesses and homeowners from a single source. The company's innovations include the solar lease, the community purchase program, the combination of solar power and electric vehicle charging infrastructure and the integration of solar power and energy efficiency audits and retrofits. SunRun (San Francisco, CA) - Developed more than 5,000 home solar installations in five states that can produce more than 25 megawatts of electricity annually from residential solar photovoltaic systems and is growing 500 percent annually. SunRun partners with 20 leading local solar installers, which employ more than 2,500 local, green-collar workers. Portland General Electric (Portland, OR) - An investor-owned utility serving more than 817,000 customers and 52 Oregon cities. In 2009, more than 10 percent of the utility's customers voluntarily signed up to participate in the Renewable Power Program, which saw sales of 740 million kilowatt-hours last year. Because of the excellent customer participation rate, the National Renewable Energy Laboratory ranked the program No. 1 for the number of renewable power customers in its annual survey. Portland General Electric received Green Power Leadership Awards in 2006 and 2008. La Plata Electric Association (Durango, CO) – This rural electric cooperative, which serves more than 30,000 member-owners in rural communities of Southwest Colorado, purchases Green-e Certified or equivalent renewable energy and its attributes from wind-generating facilities across the western United States through its power supplier, Tri-State Generation and Transmission. Since LaPlata's members are voluntarily purchasing 25,500 of the 100-kWh blocks of green power available — more than 25 percent of the renewable energy sold by Tri-State — it is now the leader in green power sales among all of Tri-State's 44 cooperatives. management and consumer engagement solution for energy providers. System (iCES) for consumer-driven energy management and efficiency. approach and validated results, according to Tendril CEO Adrian Tuck. and enabling sustainable results for their Energy Efficiency programs. world-class, behavioral-driven Energy Efficiency," Tuck said. into an intuitive and interactive world of Energy Efficiency. engagement tools within the Tendril platform. The Empire State Building is getting an energy efficiency makeover. efficiency changes of their own. years after the renovations are complete. economic sense, most notably in the CIGS sector. GOOG) and Marubeni Corporation (TYO: 8002). issues and allowing for greater energy capture from stronger winds. congestion and need speedy creation of transmission capacity. parts of the land-based transmission system. to create 215,000 new jobs by 2030. Virginia, have expressed strong support for offshore wind development. needed along the Mid-Atlantic coast." renewable energy projects that can have dramatic impact." consumers and businesses by improving power flows across the region. well as from PJM, the region's grid operator. After launching the construction of a second Avancis plant in Germany (last June), Saint-Gobain has announced, in association with Hyundai Heavy Industries Co., Ltd.(HHI), the building of a third high-efficiency PV panels facility in Korea. This partnership between the two groups will take the form of a 50-50 joint-venture, called Hyundai Avancis. The first manufacturing facility for the joint-venture will be designed identically to the second Avancis plant currently under construction in Germany, both in manufacturing capacity and technology terms. In this way, it will produce an annual volume of 850,000 modules based on CIGS (Copper – Indium – Gallium – Selenide) thin-film technology, designed for roofs and solar fields. In other words, an annual power output of 100 MW, or the equivalent yearly energy requirements of a town with 15,000 inhabitants. The site should be operational from the 2nd quarter of 2012 and will supply the global market. Its modules will be marketed independently by Avancis and HHI. Based on depositing coatings of CIGS on a glass substrate, the technology developed by Avancis avoids using traditional crystalline silicon. This technology makes it possible to imagine production costs as low as other thin-film based techniques, while its electrical efficiency (above 12% industrially and up to 20% in the laboratory) is close to the higher yields achieved using polycrystalline silicon cells. As well as being suitable for solar fields, CIGS thin-film based modules are especially recommended for roof installations, due to their simplicity of assembly, their attractive appearance and their reliability. "With this investment, Saint-Gobain significantly accelerates its growth on the solar market, by banking on a competitive and innovative technology. This latest illustration of the Group's commitment to renewable energies testifies to the growth potential of Avancis, the reference player on the high-efficiency thin-film PV modules market" states Pierre-André de Chalendar, Chairman and CEO of Compagnie de Saint-Gobain. "Already well located in Korea (particularly in Flat Glass where it has 4 float lines and several processing units for the automotive and building sectors), Saint-Gobain strengthens its position in this country in association with HHI, whose industrial and technological know-how is recognized worldwide" declares Jean-Pierre Floris, Senior Vice-President of Compagnie de Saint-Gobain and President of the Innovative Materials Sector. "By expanding into the high-efficiency CIGS PV market, under a joint-venture with Saint-Gobain, HHI is on track with its plan to become a global supplier in the renewable energy sector via innovation and diversification. Above all, HHI will be one step closer to achieving the global commitment of pursuing an era of clean energy. We believe that we will soon fulfill these commitments that will provide a strong foundation for our future generations," says Keh-Sik Min, Chairman of Hyundai Heavy Industries. the sector to grow by relying less on public subsidies. companies in the energy industry. customers accomplish both. We're pleased that Inc. magazine has recognized our success."